It’s not rocket science. If someone helps you out or blesses you, then thank them. Send them a card. Buy them flowers. Get them a small token of appreciation.I send out thank you cards all the time. Every single time I get that email for a free gift from shutterfly, I am going to choose the free thank you cards. I will use them. 😀 We have so many people that pour into our lives and support our ministry. I want to make sure that they know how much they are appreciated. I don’t want to take people for granted. I don’t want people to feel burned out or exhausted because of me. I would much rather them feel purpose, passion, and an excitement that keeps them going even when they are tired. I have found that a little appreciation goes a long way. I am raising our kids this way as well. I make our kids write thank you cards. Not only for gifts, but for invites over to friends homes and things like that too. I have always felt like a hand written thank you card often means so much more ( I also tend to think that it is quite classy). So, who is a blessing in your life? Who deserves a thank you? Shame on all of us for getting in a place where we feel like such things are deserved instead of appreciating them. Be careful- some people are raising a generation that feels entitled for everything and appreciates nothing. I recently told Allie that if there was something in her life that she would miss if it wasn’t done, then that person deserves a thank you. 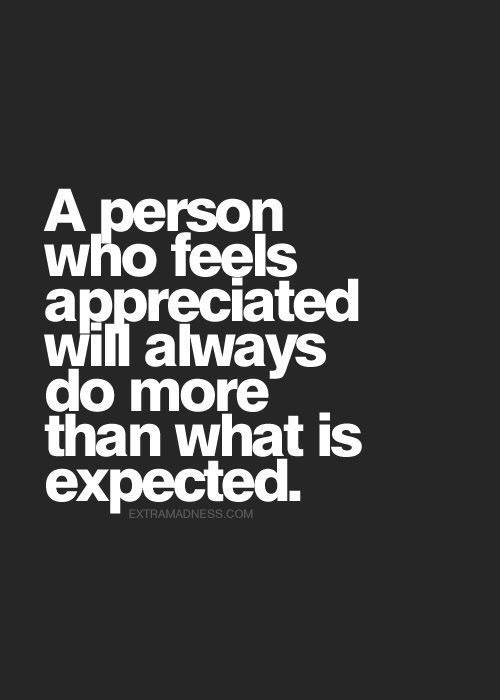 Also, if you would know who to complain to when you feel like something is not done right….then you should also appreciate that person when the job is done properly. We try to show our appreciation to the leaders that help us in ministry as well. They are sacrificing their personal time, family time, energy, and finances to pour into a generation along side us. Don’t keep asking more and more of those helping you without taking the time to pour back into them. A small act of appreciation does not take long at all, but it can have a lasting impact on your relationships, family, and ministry.